Work sites in the mining, mineral exploration, oil and gas, construction, natural resources, and research industries are often located in remote areas that tend to have harsh climates and less than optimum conditions. Such work sites tend to be geographically isolated, and not easily accessed by road – often requiring days of travel and using a number of methods to transport equipment, materials, supplies, and personnel. Whether it is a small mineral exploration team scouting potential sites for future mining projects, or the establishment of a man camp for oil field operations, projects in these locations can be designed to operate for short periods of time (days, weeks, or months) and require a high degree of portability or solicit bids for establishing permanent workforce accommodations and on-site infrastructure to support full-time production efforts lasting years or decades. This is a guide is for informational purposes. If planning a camp, we recommend contacting your state or country’s governing agency for rules and regulations related to using modular buildings for establishing temporary remote camps or permanent workforce camps. Remote work sites can be so far removed from civilization that it’s impractical for workers, if not outright impossible for commuting and being able to work long shifts and meet the physical demands of remote jobs. In order to ensure a high-level of worker productivity, as well as attract and retain skilled work crews, companies recognize the need for providing safe and comfortable job site housing. Whether it is prefabricated bunkhouses, living quarters, temporary worker housing, construction site housing, or employee housing, remote camps can quickly be established using modular structures to provide not only workforce accommodations but the kitchen and dining facilities, as well as recreational facilities. When planning a remote camp, special consideration needs to be given to the climate, location, and the duration of the project. 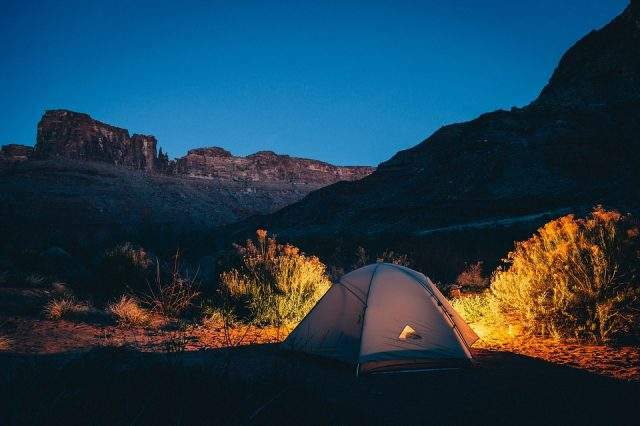 Real-world examples of different remote camps can illustrate the wide range of extreme conditions which some remote workforce camps must endure and withstand. Mike Smith, owner, and operator of Alaska Minerals Inc. has been providing the mining, construction and reclamation industries with remote camp systems for decades. The most remote work camp that Alaska Minerals operated was at the Western terminus of the Yukon River, about 20 miles from the Bering Sea. Equipment was transported from Anchorage to a small town on a river in the heart of Alaska. From there, a barge carried the equipment almost 800 miles to the site. Mike and his crew had to fly in on a float plane from Bethel to set up the camp. The nearest supplies and provisions for the 18-person camp were only accessible via a 90-minute float plane flight from Bethel. Providing remote camps and expediting services to isolated locations in Alaska requires a high degree of portability and durability. Equipment and portable buildings need to be compact and designed to withstand the rigors of being set up and taken down on a frequent basis, as well as endure transportation over harsh terrain. The Swiss Federal Institute of Technology operated a 12-person camp with a workshop and storage facilities on a remote site in Northern Greenland while conducting ice sheet research for nearly a decade. Located above the Arctic Circle, the research camp and its inhabitants were subjected to extreme arctic conditions, including temperatures as low as -60 degrees F and winds up to 110 miles per hour. The modular structures used to build the research camp were engineered to meet snow loads of 200 pounds per square foot. Depending on the season, scientists, researchers, and staff experienced either 24 hours of sunlight or lived and worked in the winter darkness. Another consideration for polar camps is extreme solar radiation. Because there is less atmospheric ozone above the poles, more UV radiation reaches the surface. Camp facilities and infrastructure must be specifically designed for use in Arctic climates to withstand prolonged exposure to high solar loads as well as function in extremely low temperatures. When it comes to remote camps and research stations, few places on Earth are as remote as the Arctic and Antarctica. There are two base camps on Mount Everest. The base camps are located approximately 12 miles from the summit of Mount Everest. The South Base Camp of Mount Everest, in Nepal, is situated at an elevation of 17,598 feet. The North Base Camp of Mount Everest is at an elevation of 16,900 feet and is located in China’s Tibet Autonomous Region. It is a short window between April and May when most climbers tempt their fate to climb Mount Everest. Mountaineers wishing to stand on the highest point on Earth – an elevation of 29,030 feet, typically start their journey in March, arriving at the Mount Everest base camp in late March where they spend time acclimating, preparing for their summit, and waiting for a break in weather when conditions at the peak are optimum. Such remote base camps, which are located at the very edge of what the human body can withstand, need to be engineered for portability and designed to hold up to freezing temperatures, snow loads, frequent avalanches, sudden storms, and hurricane-force winds. It’s not just cold weather camps in remote locations. Mining and mineral exploration companies operate in humid tropical jungles as well as in scorching hot and bone-dry deserts around the world. If there are valuable resources to be mined in remote locations, there is a need for modular structures for workforce accommodations. Known as the hottest place on Earth, the Danakil Depression in Ethiopia is visually stunning and described as being “out of this world”. Its unique terrain is something you’d expect to see in a sci-fi movie, but in reality, it is a deadly place to conduct mining, exploration and drilling operations for any sustained period of time. With an elevation of -330 feet below sea level, temperatures can soar as high as 125 degrees F and routinely exceed 100 degrees F. Formed as a result of diverging plates in the northern part of the Afar Triangle, the Danakil Depression requires building solutions designed for extremely high temperatures, unrelenting solar loads, and the ability to withstand the sand-blasting effect of strong desert winds. The world’s largest zinc mine is located in the DeLong Mountains of the western Brooks Range of Alaska. A 52-mile road is used to haul the ore to crushing and processing facilities, where it is then transported to the mine’s port site on the Chukchi Sea by way of overland conveyors. The port site is located approximately 90 miles north of Kotzebue, Alaska and above the Arctic Circle. Travel to the remote zinc mine is done by air, or during a 100-day shipping window. In this particular location, snow falls for more than half the year and winter storms can bring hurricane-force winds of more than 100 miles per hour as well as blizzard and whiteout conditions. Being located on the coast, mining equipment, mine site infrastructure, and the material handling systems are subjected to not only severe winter conditions but a continuous blast of corrosive sea spray. When the Environmental Protection Agency (EPA) and the Alaska Department of Environmental Conservation learned of finely ground ore escaping from uncovered conveyors into the surrounding environment and ocean, the mining company was fined civil penalties and risked being shut down if not corrected in 30 days. The mine’s environmental supervisor quickly set out to develop a solution to control the “fugitive dust”. Building a mile-long conveyor enclosure out of timber would take too long. Metal buildings when exposed to the sea spray would quickly corrode and the hurricane force winds would “rip the panels right off” as stated by one of the material planners on the project. It was decided the best solution for designing and building a conveyor belt containment system was to use engineered fabric structures capable of withstanding the corrosive sea spray and meet the wind and snow loads for safety and durability. The above examples highlight some of the challenges associated with planning a remote work camp and how to choose the best type of buildings for workforce accommodations in remote locations. Each remote camp, be it for mining, mineral exploration, oil and gas, construction, or for the science and research industries, is unique and requires a high degree of planning, including knowing the extreme climate conditions, understanding the terrain and logistical issues of getting equipment, supplies, and personnel to the site, and the building requirements of the remote camp project. Perhaps just as important, if not the most significant aspect of planning a remote work camp – relying on proven experience and building technology from a company capable of engineering modular structures specifically designed to meet the functional challenges while providing lifesaving technology in the most extreme environments. The planning and engineering design of the remote camp project must be completed to ensure a full and comprehensive solution for providing workforce accommodations and support infrastructure needed to carry out the requirements of the operation, including meeting local or international regulations and building codes for safety. Procurement of all the equipment and materials needed for the remote camp project is done at the right time to streamline operations and minimize risk by utilizing strict quality control processes to ensure equipment arrives safely, has all the necessary parts, and is tested for quality and compliance. In such remote locations, it’s not as simple as going to the local hardware store if you forget a bag of bolts needed to assemble a critical piece of equipment! Oversee and manage the construction of worker housing as well as other camp facilities to ensure they are completed per the designed engineering specifications, meet safety and environmental regulations, and to deliver a functional and complete camp system on-budget and on-time. Next How to Qualify for Down Payment Assistance?